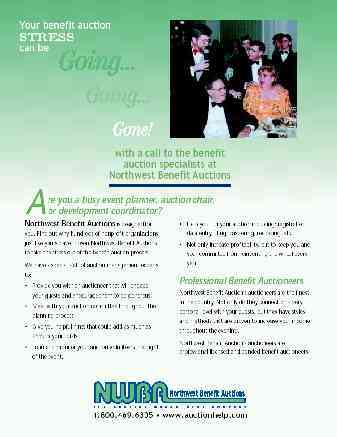 Northwest Benefit Auctions, Inc. is Your Complete Auction Management Solution. 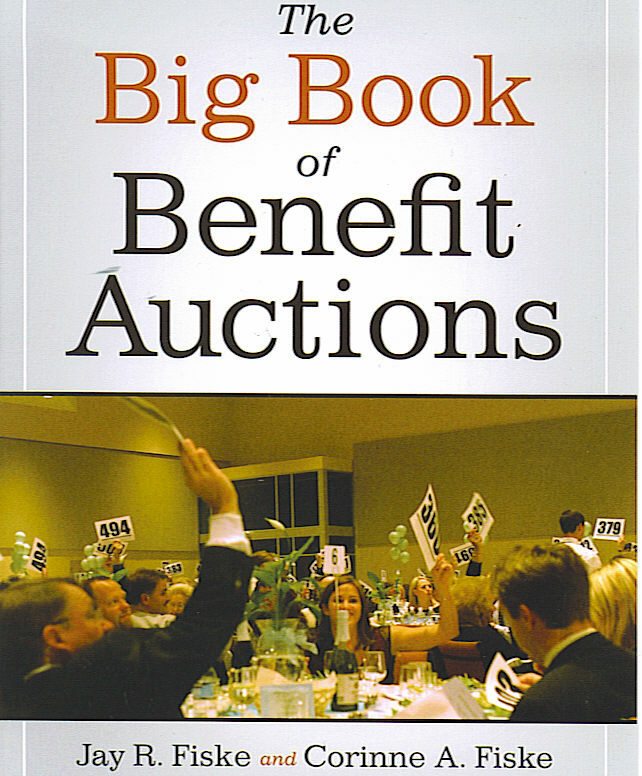 From our professional consulting advice and experienced staff, to our first-class professional benefit auctioneers and event coordinators, Northwest Benefit Auctions is ready to help you reduce your stress, increase your event bottom line, and provide a fun-filled environment for your guests. We have all the tools available, right now -- on line and in person, -- to help you achieve your goals and receive the accolades you deserve for your hard work. Our system is so complete that every aspect of your charity auction can be easily and professionally managed regardless of your prior experience with charity auctions. We have event management software, a self-guided instruction manualfor successfully managing every aspect of your event, and of course the latest forms, bidder cards (paddles) and systems designed to maximize your revenue while reducing your committee's burn out level. It's all here! Please take a few moments to preview the resources and services available to you. From the daily Tips area, to the forms and systems catalog, to the profiles of our experienced staff, you came to right place for all of your charity auction tools. Of course, if you don't immediately find what you are looking for, or if you need specific help with your event, please let us know. Your success is important to us. Since 1993 we have made our clients' success our first priority. Let us know how we can help you achieve your goals.